With our mortal powers we struggle to create the beautiful, and yet it grows, uncared for, beside us! Isn’t that so, Alabanda? Men are made to care for their needs, the rest gives itself. And yet—I cannot forget how much more I wanted. 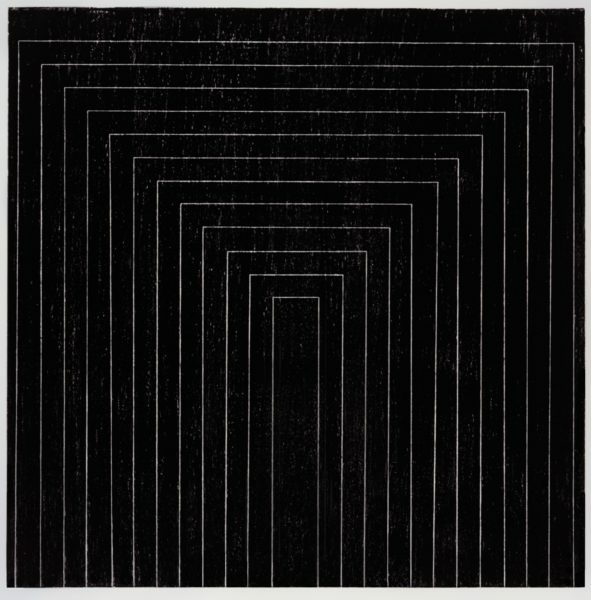 The striking similarity of Frank Stella’s 1959 Getty Tomb and a Lygia Pape tecelar of 1956 is on a first approach merely a graphic coincidence [Figs. 1, 2]. 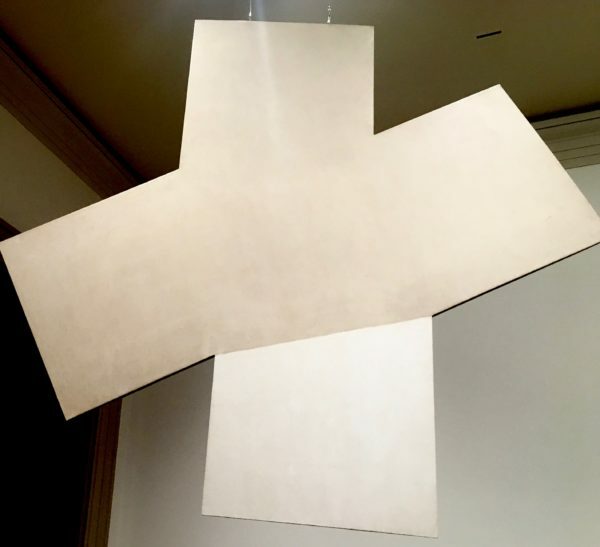 Stella’s piece is slightly oblong and Pape’s is square: considering the privileged position of the square in Brazilian concretism as a kind of non-arbitrary default, one might even say that Stella’s has shape, and Pape’s does not. 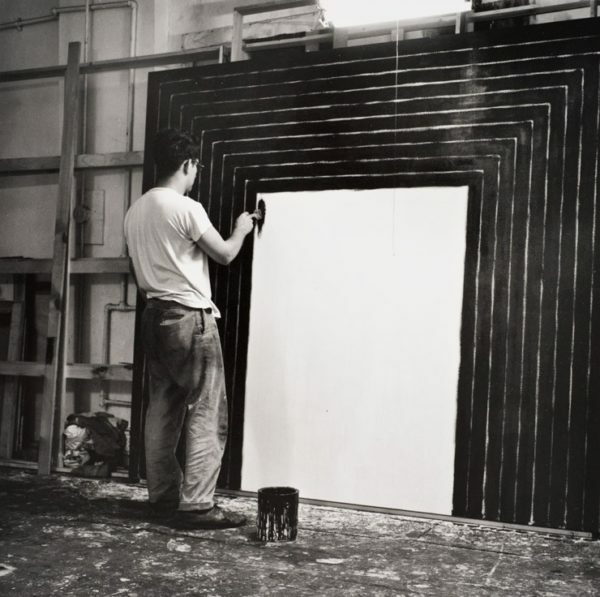 Figure 1: Frank Stella, Getty Tomb, 1959. In this essay I will be focusing another of the Rio concretists: not the most accomplished of the group, but the artist in whose trajectory a version of this dialectic, at once aesthetic and political, plays out the most clearly. The arc of Hélio Oiticica’s career is easy to read. He begins as a formalist, in the context of 1950s Brazilian concretism. At a certain point his paintings explode the rectangular frame and acquire shape, at the same time moving off the wall. He then fully embraces three dimensions, soon taking on the architectural implications of that move, at which point the work has already taken on an interactive, participatory aspect. 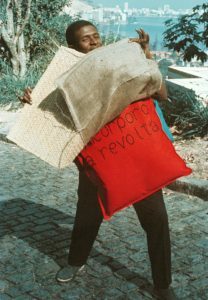 In the mid-1960s, as the creativity of the Brazilian cultural Left reaches a kind of fever pitch (but as the political left is defeated and in retreat) he creates his parangolés, fully interactive event-objects that are activated by a wearer, paradigmatically a wearer from the Mangueira samba school of which Oiticica had become a member. 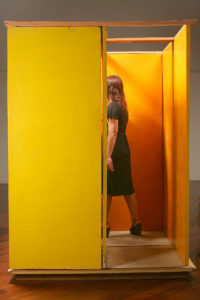 As the dictatorship hardens and life in Brazil for the cultural Left becomes increasingly untenable, Oiticica continues to develop the participatory aspect in London, creating works from the penetráveis, which are meant to be entered and experienced, through the ninhos, which radicalize the project of fusing art and life by becoming actual living spaces. It is as if an entire forty-year trajectory running from high modernism to minimalist anti-modernism to gallery experience was, in being compressed into one artist’s fifteen-year itinerary, confirmed as inevitable and therefore in some way correct. Oiticica continues the ninhos in New York, pursuing increasingly radical and unrealizable projects while he is cut off, partly by circumstance and partly deliberately, from supportive institutions and networks. A promising return to Brazil, characterized in part by a return to the penetrable work open to its environment, is cut short with his death at 42 in 1980. Hélio Oiticica’s career tells the story of the democratic leap of art off the wall and into life, out of contemplation and into action and experience, from autonomy to involvement, from élite contemplation to democratic participation, from aesthetics to politics. It is a story that sits well with the recent “upsurge” of what a well-known cheerleader of that upsurge characterizes as “convivial, user-friendly artistic projects, festive, collective, and participatory, exploring the varied potential in the relationship to the other.”3 It is, furthermore, a story that curators love to tell, partly because the museum is transformed from a specialized and neutral space, subordinate to the objects that populate it, into one that is democratic, primary, and productive.4 Finally, and most importantly, this narrative carries the authority of being the story Oiticica himself wanted to tell, at least at one point in his life.5 There is in fact nothing false about it. And yet the truth lies elsewhere: closer to the works themselves and, only apparently paradoxically, in the great political crosscurrents that tore through the Brazilian 1960s. 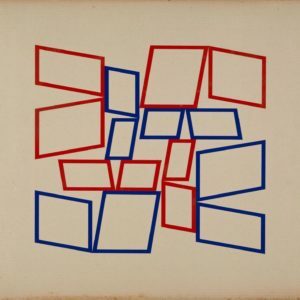 Let us turn first to an early work, produced when Oiticica was still in his teens, under the tutelage of the great concretist pedagogue Ivan Serpa: Três Tempos (quadro 1), from 1956 [Fig. 5]. The painting is precisely square. 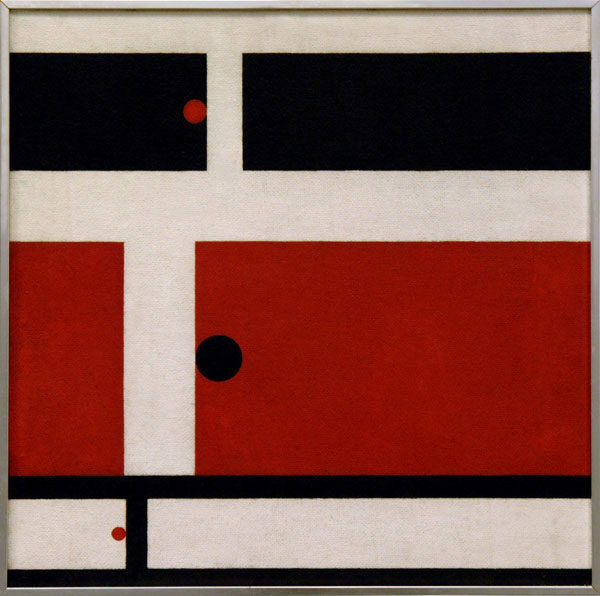 The palette is restricted to black, white, and primary red; the shapes are restricted to circle, rectangle, and the negative spaces between rectangles; these spaces change from white (between red and black) at the top of the painting, to black (between red and white) at the bottom of the painting, giving black in one area an anomolous positive value; the painting as a whole comprises three bands of different widths, each one consisting of two rectangles, one of which contains, adjacent to its left- or rightmost edge, a circle of a contrasting color. The vertical negative spaces produce a diagonal axis down the left side of the painting; the circles cleave to alternating sides of this axis. There is a balance to the dimensional relationships that is hard to pin down but may be mathematical: certain ratios, at least, approximate to the golden section. The relationships among the elements seem to be purely formal—black relates to red, red to white, circle to rectangle, large to medium to small, horizontal to vertical, and so on. 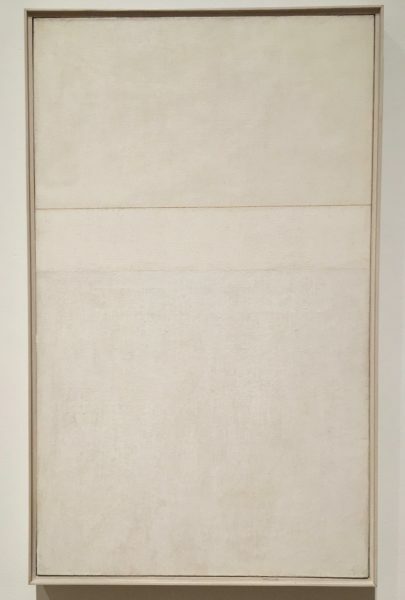 But the area where black and white switch valences produces an ambiguity between figure and ground—it produces, as it were, a difficult spot in the painting that makes it impossible to regard the relationships as purely formal. That is, the ambiguity about figure and ground that pertains at the difficult spot confirms that we are indeed dealing, however problematically, with figure and ground. The painting depicts (again, however problematically) a space. Further, that space is populated with objects. The title Três Tempos doesn’t exactly mean “Three Times,” at least not in the most obvious English sense of “three iterations”: the best translation, though not as satisfyingly multivalent, would be “Three Tempos.” The three bands then imply a repetition beyond the frame: we are looking at six incomplete objects which, if complete, would suggest three continuous repeating bands, like three conveyor belts of different widths. The painting is depictive, even if the objects it depicts are abstract. Finally, and most importantly, this space is not only a depicted space, but it is, if I can put it this way, depicted as a depicted space: this depicted space is presented as a problem. First of course by the difficult spot. But also, the paint is applied to the rough side of a kind of commercial fiberboard, so that the texture of the underlying material is clearly visible through the paint. You wouldn’t say that the texture of the material is part of the three tempos: it subtends the pattern but is not part of it. 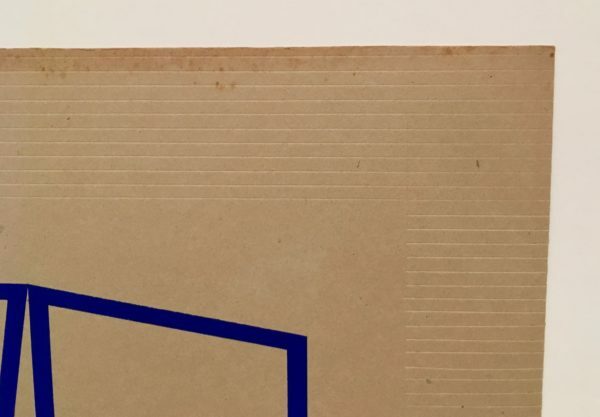 But it is part of “Three Tempos”: the other, smooth side of the fiberboard is a favored material in Brazilian concretism, so the decision to use the rough side is legible as a deliberate choice. Oiticica’s work can’t “come off the wall” because it was never simply on the wall in the first place, but always, from the beginning—in a sense which will shortly become much clearer—already about being on the wall. Along the course of its development this problem acquires an explicit politics. But for now it is important to note that at this early stage it has none. Concretism in general partakes in the political atmosphere of 1950s Brazil, characterized by an anti-imperialist developmental populism that is fertile soil for peripheral vanguards whose elaboration is bound up with a bourgeois-national project that understands itself also to be popular and progressive. But there is no thematization of this politics in the works themselves, which are understood to undertake a development internal to the discipline of painting. 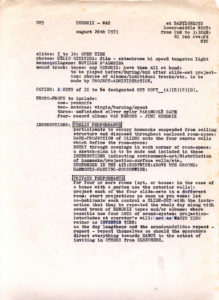 The “Theory of the non-object,” written in this period by Ferreira Gullar, a friend and mentor of Oiticica’s and a leading member of the circle in which he moved, is nothing other than an attempt to describe neo-concretism as heir to the “entire dialectic of modernist painting from [in this case, Monet] to the present.”7 The political valences of these developments, which take any number of conflicting forms, are rather understood to be entailed in the various ways that dialectic can be appropriated in a peripheral context. So the leap off the wall [Fig. 10] is not the radical break it initially appears, but rather a literalization of what was already depicted in the metaesquemas. 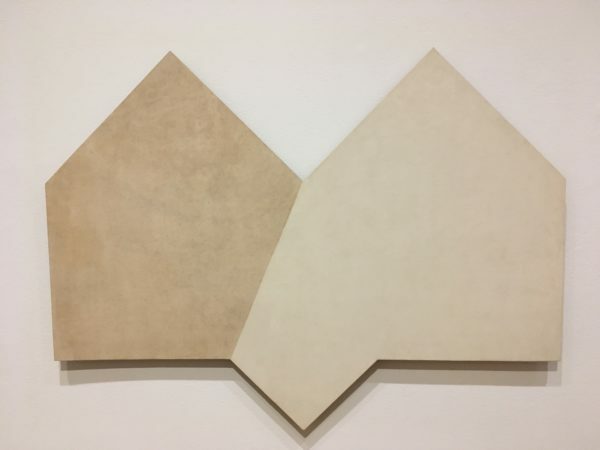 In fact I have skipped several stages of Oiticica’s development, important among which would be his white paintings, including an un-numbered piece that deploys a doubled line, both parts faint, the lower one fainter than the upper, that bisects the picture about two-thirds of the way up. [Fig. 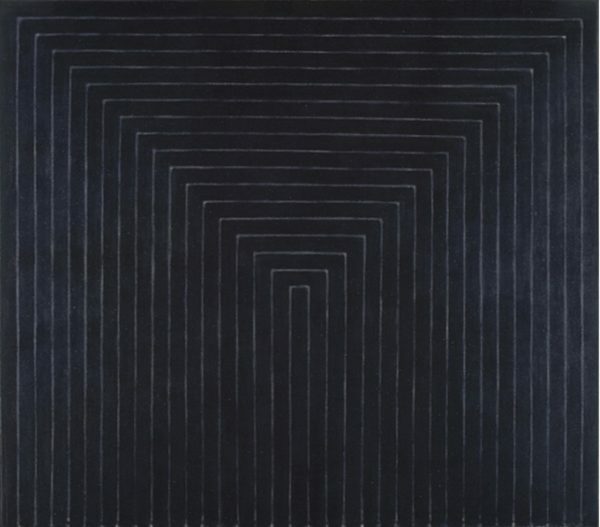 11] The line is very slightly out of square: so slightly that it takes some time with the painting to ascertain that it is, and is deliberately, out of square, thus involving an unavoidable temporal, experiential aspect. This series also includes Tantrum [Fig. 12] which is an enlargement in oil of one of his metaesquemas, but which at large scale requires the beholder to move around in front of it, since it appears asymmetrical until it is viewed precisely straight on. Bilateral, Teman [Fig. 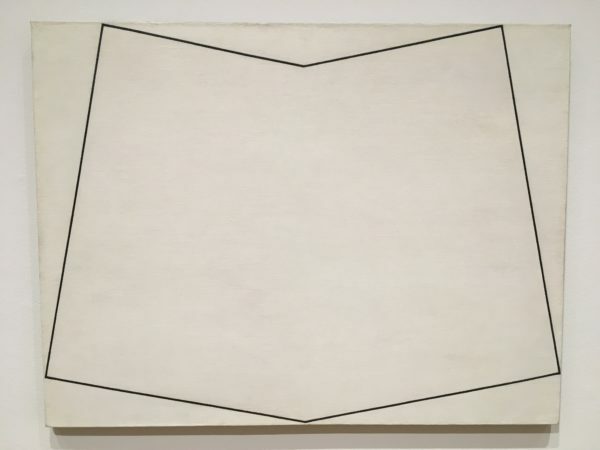 14], is essentially a white painting with shape like P34 Série Branca [Fig. 13], but hung in space to give the beholder access, by walking around it, to the substrate’s literal shape, thereby thematizing the strong trompe-l’oeil effect of a crease brought about by the shaded area [Fig. 15]; and the spatial reliefs [Fig. 16] (originally called non-objects after Ferreira Gullar), which literalize the effect of relief by bringing it into sculptural space while still, because of their insistence on planarity, remaining related to painting. The point about all of these is not that they progressively introduce an experiential, temporal aspect—because no work of art lacks an experiential, temporal aspect. (As Jeff Wall has pointed out, the point of even conceptual art is that one experiences the lack of an experiential, temporal aspect, which means that even conceptual art only functions by negatively mobilizing the experiential).11 Rather, these works thematize in progressively insistent ways the experiential aspect that is implicit from the beginning in the work’s literal objectood. But in saying this aspect is thematized, we are saying that it is depicted; in saying it is brought to presentness in the work, we are saying that it is present in the work. These works mobilize the same dialectic between world and earth—between the idea that exists sub specie aeternitatis and the literal support that exists in space for a beholder, with which the idea is nonetheless coterminous—that characterized Oiticica’s very earliest paintings, though now at a higher level since they explicitly thematize what was only implicitly involved in the earlier work. In this regard I would like to concentrate for a moment on a transitional piece, Núcleo pequeno 1 [Fig. 17]. 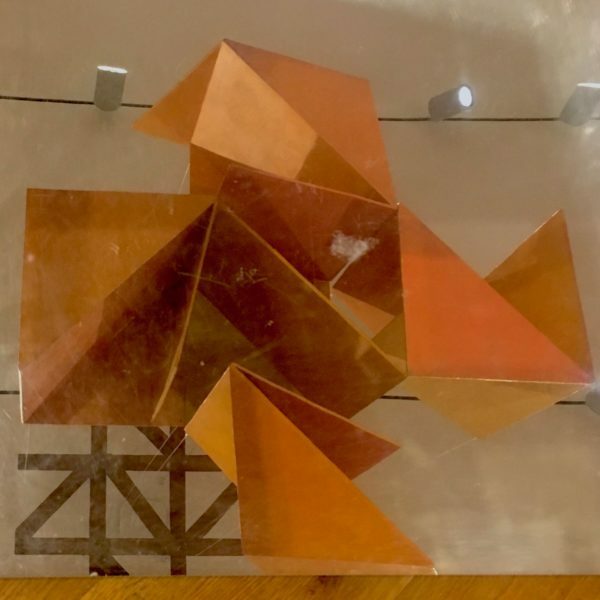 Núcleo Pequeno 1 consists of five discrete three-dimensional shapes, similar to the spacial reliefs, formed of painted and joined wooden planes, hung together from a square lattice itself suspended from the ceiling, such that the five shapes seem to compose a single complex body. The various planes are painted subtle variations of orange, but with different colors rather than illusionistic shades of the same color, so there is no trompe-l’oeil effect. 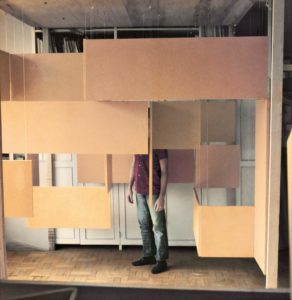 This assembled quasi-body hangs over a square mirrored surface, itself composed of four square mirrors, though archival photographs suggest that one large square mirror was used as well. One does not naturally, walking around the piece, see oneself in the mirror; only with difficulty can one lean over and catch a piece of one’s head. Nor does one see one’s fellow museum-goers; what is reflected in the mirror is the underside of the quasi-body and the (significantly planar) scaffolding above it, scaled more or less, depending on one’s position, to fit within one of the four square mirrors [Fig. 18]. So while it is not plausible that the beholder participates in the work via his or her own image in the mirror, it is true that the beholder’s participation is strongly solicited. One is asked, in effect, to look sequentially at the body and its reflection, which cannot be taken in in the same glance; one is asked to walk around the body, which is three-dimensional and unavoidably oriented toward the earth—it has a top and a bottom that cannot be switched—and around the mirror, which has neither top nor bottom but only sides. If the four sides of the square are privileged, as the lattice above and the shape of the body, which both echo it, suggests they are, then none of the four sides is privileged over any other. In relation to the quasi-body there is a correct orientation for the beholder to assume, namely upright, but no correct position; for the mirror, there are four correct positions, but no correct orientation. In a sense this merely literalizes and reverses the depictive thrust of the metaesquemas: rather than the square two-dimensional image unavoidably depicting imaginary objects, an imagined—but literal—object is reflected in the square mirror image. Indeed, the significance of the squareness of the earlier metaesquemas now becomes apparent: the sense in which they are, as it were, only contingently and empirically—literally—on the wall in the first place. Many of them admit four orientations, none of which is immanently privileged over any other, like a birds-eye view: a fact indexed by the fact that many of them are posted in various orientations online. [Figs. 19-22] The squareness of the metaesquemas is not always exact; the impression of consistent squareness is partly an effect of the paintings’ indifference to their orientation, not simply the cause of it. In a sense the metaesquemas are in their all-overness meant to be, but cannot literally be, walked around, something the small nucleus both realizes and literalizes. But once again, that literalness is also a depicted literalness. It is absolutely true that the small nucleus is activated by a participant. But the piece is not experienced in relation to the contingency of one’s own body. Rather, one finds, apparently paradoxically, one’s own body posited, sub specie aeternitatis, by the piece: the contingent body that activates the sculpture is, non-contingently, free in two horizontal dimensions and constrained in the third. The body that activates the piece is not (only) the literal one that walks around it, but (also) a projected one, not exactly depicted but nonetheless implicitly contained in and communicated by the logic of the piece. Of course, every sculpture can be walked around but not viewed upside-down. The point is not that the small nucleus is different than any other sculpture as an object, but precisely that it is different from them as a work of art, in its meaning: in that it thematizes—is precisely about—the relation of the beholding body to the thing it beholds. From here it is a short step to the large nuclei [Fig. 10], which are meant to be entered [Fig. 23]—not a very impressive experience [Fig. 24] but one that literalizes the immanence of the dual ideal-empirical body to the work, an entrance which is yet again literalized in the so-called penetrables [Fig. 25]. The later bólides or “meteors” thematize this problematic in a different way. 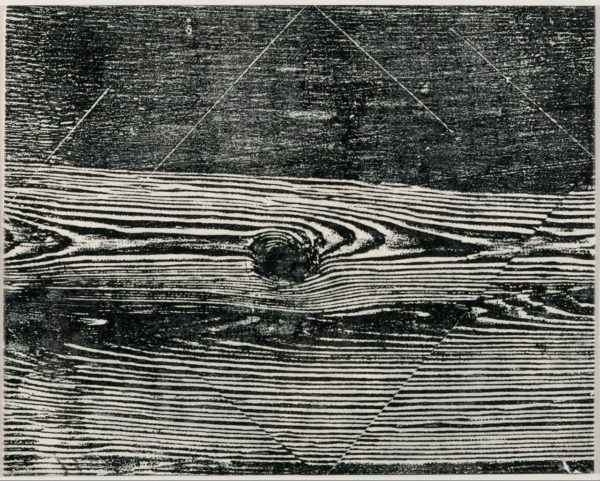 Contemporary photographs tend to show the bólides on the ground [Fig. 26]. 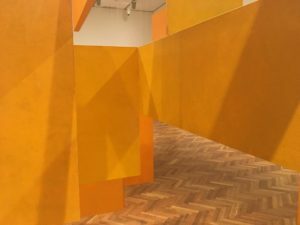 They are meant to be touched—but, as Oiticica makes clear in a much later interview, not really manipulated—but also walked around: the privileged view is being looked into [Fig. 27]. Only the birds-eye view reveals their formal, compositional element, something simple but unmistakeable that empirically may be understood in a flash of recognition or overlooked entirely, but which is in any case implicit in the work, which includes its placement on the ground. This “glass bólide” is from 1963. The substantive political development of this period had been the rapprochement between the intellectual élite and the working class and landless peasantry. This rapprochement took many ideological forms, from enlightened patriarchy to populist mythologizing to genuine engagement, forms that bled into each other, evolved into one another, or, if you like, infected one another. But however contradictory, mystified, condescending, or enlightened the ideological content, the social content was this sharing of knowledge, experience, and organizational links between classes, a project which was not merely pursued individually but had a real institutional basis in the Popular Centers for Culture and the Movement for Popular Culture originating in Pernambuco—a project which was, furthermore, importantly understood not as the end of revolution but, as we saw with the CPC manifesto, as a means to it. (It should go without saying that this crossing of class lines is just as strongly a crossing of racial lines). When one considers that in Brazil the right to vote was dependent on a literacy test until 1985, and that still in 1970 the rural literacy rate was under 50%, one realizes how explosive such a rapprochement was even in electoral terms; the fact that this institutional apparatus was the home of Freirian pedagogical theory and practice gives a sense of the real social development taking place. Needless to say, one of the first actions taken by the military government was to shutter the cultural centers; Paulo Freire himself was imprisoned and exiled; Ferreira Gullar’s own imprisonment and exile would come a few years later. Significantly, the régime remained tolerant for a time of leftist ideology and culture. It was the Left institutions, particularly those that embodied its real, substantive engagement with the rural underclass and urban proleriat, that were immediately shut down. 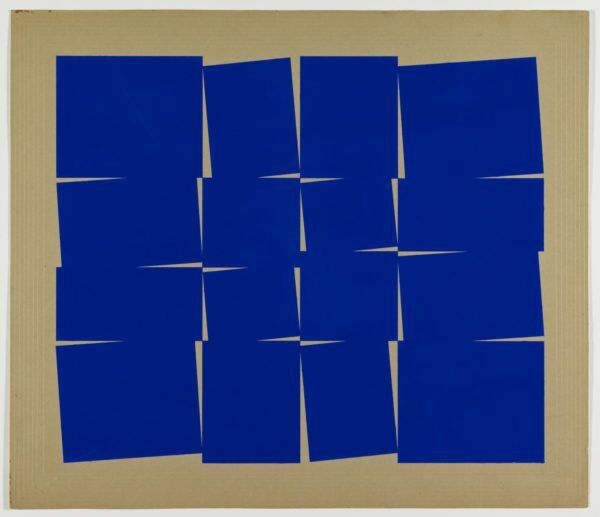 It is in this context that we should see the next great development of Oiticica’s career, his parangolés [Fig. 28], which Oitica will come to see as embodying an experience that he sees as an antidote to his “bourgeois conditioning,” an experience that hinges on the “overthrow of social prejudices, of group barriers, classes, etc.”17 The slang word “parangolé” is multivalent and situationally dependent, but its connotations are of an impermanent, makeshift, or improvised situation. Many of them are garment-like constructions, meant to be worn, amenable to manipulation by the wearer, the later ones containing words or slogans, some clear and some obscure, that can be revealed or not by the wearer. There is no attempt to make them appear polished in execution. In 1964, Oiticica had joined the samba school Mangueira, based in the marginal hill neighborhood of the same name in the North of Rio, a decision that is ripe for mythologizing. (The man wearing the parangolé in figure 28 is, we are told, Nildo from Mangueira). In fact Oiticica’s integration into Mangueira was far from easy or complete, and was at times marked by violence: a fact which makes his determination to pursue it more interesting, not less. But in his early writings on the parangolés, the conceptual structure of the work remains the familiar, neo-concretist problematic. The “philosophical standpoint… remains, perhaps, a search for the definition of the ‘ontology of the work,’ a profound analysis of the genesis of the work as such.”18 The hesitation is perhaps significant. In 1965 and 1966 Oiticica’s notebooks begin to speak, in almost Maoist terms, of a project of self-de-intellectualization.19 The point is not, of course, that Oiticica suddenly discovers that he is a Marxist. To the contrary, his politics as it becomes explicit is a kind of corporal anarchism characterized above all by a heroiziation of the marginal that goes hand in hand with the self-marginalization of the artist: a Romantic gesture that goes back at least to Schiller’s The Robbers.20 The point is rather that this attempt, and Oiticica’s work from this period, takes its coordinates from, and cannot be understood except as a position-taking in relation to, the organized Left projects of class and racial rapprochement that had been cut short by the coup. The signal difference from these being, of course, that Oiticica’s attempt to overcome class barriers and his own “bourgeois conditioning” is undertaken on a purely individual basis. A heavily mythologized incident from 1965 should also be understood in this light. The parangolés are to be shown as part of an exhibition at the Museum of Modern Art in Rio—not incidentally, a dramatic modernist structure completed only a decade earlier, in 1955. Naturally, the parangolés are to be worn by dancers from Mangueira. But when they arrive in formation at the museum doors, they are denied entry. Oitica and the passistas perform instead outside, on the museum grounds, to general acclaim. The justice of Ferreira Gullar’s turn against the alienated art of the bourgeoisie is conclusively confirmed: “the people” are not even allowed into modernism’s building. The show goes on, only not as art, rather as life itself, vibrating joyously to the sound of conga drums outside the museum gates. Art in the specific, ontologically peculiar sense emerges for us only from the fold generated by Kant’s formulation of aesthetic judgment as a judgment of purposiveness without a judgment of external purpose: first with the romantic elaboration of the concept of poetry in the last quarter of the 18th century, then in its formalization by objective idealism in the first third of the 19th. 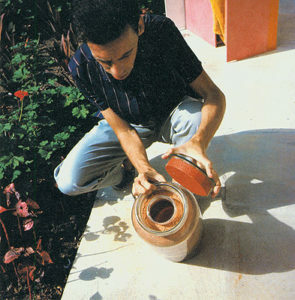 When Oiticica describes his parangolés as anti-art, as a kind of participatory practice that would be indivisible from life, he describes an art that would represent an end to precisely this concept of art, the concept that Ferreira Gullar had elaborated to account for neo-concretist practice at the end of the 1950s and then rejected at the beginning of the 1960s. 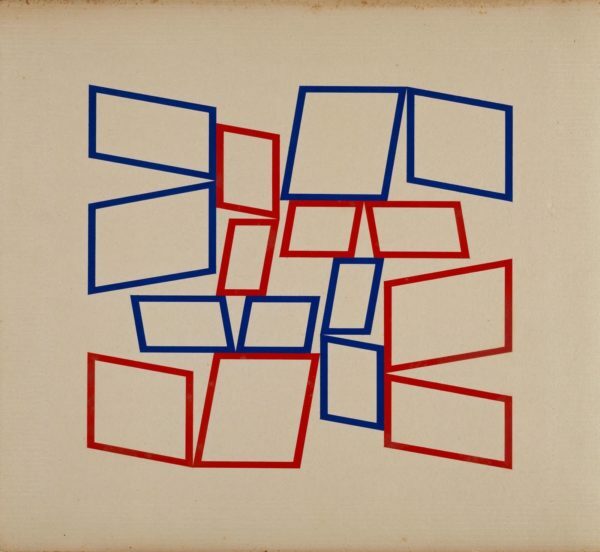 But where Ferreira Gullar in his revolutionary period wanted to put art at the service of life—giving it external purpose—Oiticica wants to integrate it with life: to do away with its purposiveness, which is left to the participant. There is nothing implausible in such a scenario, particularly in a pre-revolutionary or revolutionary situation. It is, on the very long view, the norm. The concept of art is—descriptively, not at the moment derogatorily—a bourgeois concept, designed to sideline the kinds of judgments of utility and pleasure that tend to dominate in bourgeois society. If everyday life is, by revolutionary means, really and substantively freed from the norms imposed upon it by the tyrannies represented by the market and the state, it makes perfect sense that the supersession of art, whether in Oiticica’s ludic mode or the militant mode of the CPC, would be part and parcel of revolutionary practice. But depiction cannot be done away with so easily. The parangolés are not instruments of popular expression in the way a hammer is an instrument of hammering; they have to represent the rapprochement that they, tautologically, proclaim themselves to be. After all, while the performance at MAM-Rio turned out differently than expected, it was always intended as a performance. It seems that the parangolés represent a happy resolution to the Oiticican dialectic at a higher level. The parangolé is both an instrument of class rapprochement and a representation of class rapprochement: neither aspect sublates the other. But Oiticica’s performance takes place not in 1961 or 1963, when a dramatic reordering of society seemed urgent or imminent, but in 1965, by which time the Left had suffered a generational defeat and revolution had been taken decisively off the table. Until the hardening turn the dictatorship took in 1968, the Left continued its cultural dominance; but its institutions had been decimated, its organizational links to the rural poor and urban proletariat severed. In such a situation, the purely individual integration of the intellectual with the people, the momentary erasure of the distinction between art and life, is not a literal integration of the Left with the people, not a literal erasure of the distinction between art and life, but only a depicted one. At worst a badge of good intentions, at best a sign of hope for the future, but in any case, a depiction. The unity of art and life that had been arrived at through a process of literalization and that has generally been taken to be, at the moment of the performance outside the Museum of Modern Art, a momentary but finally literal unity, is in fact only a depicted unity: yet another depicted literalization. 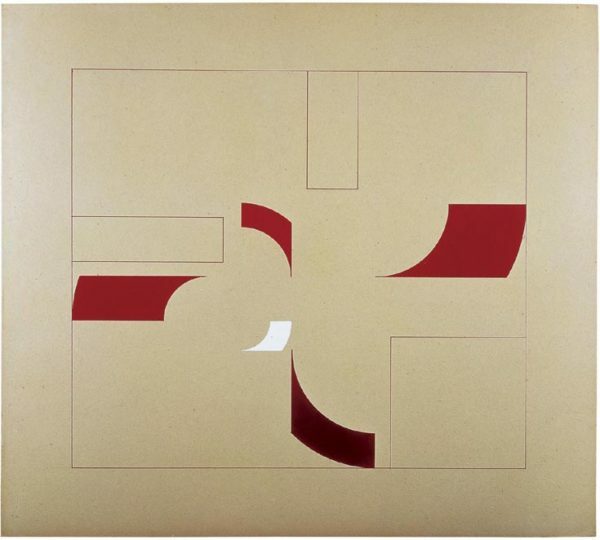 But in their literal/depictive duality, the parangolés represent then a step backward for Oiticica, not forward. The beholder for whom class rapprochement is performed is not the Oiticican subject drawn at the same time into an encounter with the Oiticican non-object, but a mere audience for whom a spectacle of class rapprochement is staged. Class rapprochement is literal for the dancers, depicted for the audience, a difference that reinscribes the class antagonism it was meant to overcome. 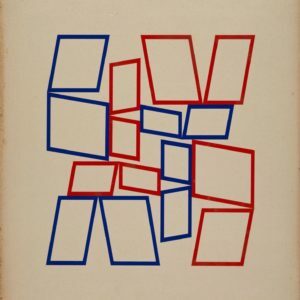 Precisely because 1965 is no longer a revolutionary situation, this absolute cleavage in class standpoint is decisive, despite Oiticica’s individual attempt to overcome it. For this reason, the parangolés, for all their embeddedness in their historical moment, remain strangely but necessarily mute about it: whether they misconstrue their own historical conjunction, recall one that has passed, preserve solidarity as in amber for the future, or subsume a political problem into a matter of individual comportment, is not a matter of interpretation in the strict sense, but a matter of the beholder’s own politics. For all the drama around the exclusion of the parangolés, Oiticica does not leave the museum and the gallery—not yet. The other work of major importance from the early years of the dictatorship, Tropicália, was shown in the Museum of Modern Art a year after the parangolé incident. It works in the opposite direction from the parangolés, bringing unreconstructed life into the museum. Tropicália, an installation containing two penetrables, is sad and ineffective in its current reincarnation [Fig. 29], but at the time its effect was explosive, among other things lending its name to a musical movement whose influence over the subsequent history of ambitious Brazilian popular music was decisive. 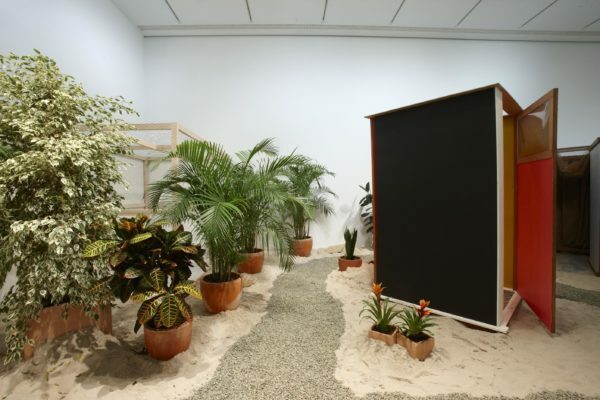 In Tropicália, the penetrables are placed in an environment that is a deliberately clichéd allegory of Brazil: some potted tropical plants, a parrot, sand [Fig. 30]. One of the penetrables—“PN 2, ‘A Pureza é um mito’ [‘Purity is a myth’]”—had originally been conceived independently. One enters a box formed by painted wood panels – red, orange, and yellow—to discover inside the legend “Purity is a myth,” stencilled in white capitals. The second penetrable more obviously continues the allegory suggested by its setting. While the first penetrable was executed in recognizably Oiticican flat painted panels, the second is composed of more diverse and off-the-shelf materials, reminiscent of the parangolés. The tiny space contains a series of curtains that somehow manages to be disorienting despite the small size of the enclosure. Finally one enters a tiny, dark chamber with a small television tuned to a local station—probably Rede Globo, the dominant network at the time, heavily subsidized and promoted by the military régime—perched on a wooden box. The allegorical tenor of second penetrable is clearly enough Brazil itself: the cramped, dark, improvised little space of the second penetrable, arrived at through a path that is confusing despite not covering any distance, translates the space of the favela into the museum. But when one enters the inner sanctum of the life of “the people” one finds—instead of the joyous autochthonous popular art of samba that had animated the parangolés—a television set, tuned to what we are to understand is the degraded national culture of television clowns and variety shows, further tainted by the support of the generals. The television is a completely literal piece of life—there is no part of the television or what it shows to which one can point to and say: “there is the mark of the artist”—directly imported into the museum. But it is by now pretty obvious that this literal piece of life is, in typical Oiticican fashion, also completely depictive, representing a degraded national culture as the truth of the life of the people. More interestingly, it is this fact about the dark penetrable—the status of the television as both absolutely literal and absolutely depictive—that gives the clue to its dialectical partner, the first penetrable. “PN2 ‘Purity is a myth’” is now both a penetrable and a representation of a penetrable. That is, by its juxtaposition with the dark penetrable, the first penetrable becomes an allegory as well, and thereby becomes at the same time the literal object that it never was in the first place. The logic becomes a bit convoluted, but once you see the dual literal-depictive nature of the television, it becomes inexorable. The first penetrable—“PN2 ‘Purity is a myth’”—existed previously as a separate work. As a part of Tropicália, it now—like the television, which not only is but represents degraded commercial culture—not only is, but represents, the advanced culture of late neoconcretism itself, free from the pressures of state and market that the television—crappy commercial culture subsidized by the régime—manages in a neat trick to allegorize simultaneously. Of course, the explicit message of the penetrable is that its own autonomy is false: purity is a myth. On the other hand, considered not as the dull, un-ironized “message” of the work but as part of a literal depiction of a Oiticican penetrable, that is just what a neoconcretist work would say. The whole point of the thematization of the spectator was to show that the purity of the work of art is a myth: the work of art is also an object and therefore impure, entangled with the subject, its beholder. But the ability to mobilize and dialectically to develop precisely that thread of impurity was possible only on the basis of a certain remove from the state and the market, a remove which now itself appears clueless and culpable, which is to say unconsciously complicit with state and market: yet another meaning to the phrase “purity is a myth.” Finally, if purity is a myth, then the truth is impure: music to our multicultural ears, but the point cannot be to celebrate the heterogeneity of Brazilian culture or its informal cast, since the impurity that is actually represented in the work is, again, not samba or the autochthonous, heterogenous culture for which samba metonymically stands but the degraded culture that appears on the television in the next booth. The opposite of purity is not then hybridity, but complicity. The dark penetrable deflates the culture of “the people” into state-subsidized commercial television, while the concretist penetrable deflates the pursuit of aesthetic autonomy to complacency. Tropicália then asserts an identity, an indifference, between two modes of Brazilian culture: frankly heteronomous and pseudo-autonomous. (It should be mentioned in passing that a deliberate mismatching of allegorical levels is required to elevate the theme of complicity over what ought to be the more obvious one of class. If the second penetrable represents a favela, the first one does not represent an apartment building in Leblon; if the first one represents high bourgeois culture, the second does not represent subaltern culture but rather the mass culture promoted by the exponents of the bourgeoisie.) In its context, the ensemble is explosively antisocial. There is no positive element or moment to hold onto: the people and the intellectuals are equally party to the debacle. (If my reading here sounds extravagant, it in fact only draws out the logic behind the spontaneous intuition of the musicians who, recognizing in Oiticica’s installation their own total and desperate disillusion, would name their movement after it). Out of its context, it simply makes no sense. Either the television shows archival footage, in which case it is no longer a literal piece of life, and the whole dialectic of literalness and depiction fails to get off the ground (only on the basis of the literal/depictive duality of the television does the literal/depictive duality of the other penetable disclose itself) or the television remains a literal piece of life by being tuned to WTTW or WNET or even contemporary Rede Globo, in which case it no longer works as an allegory. This poses a difficulty for the next phase of Oiticica’s career, pursued in London and New York after the hardening of the dictatorship. 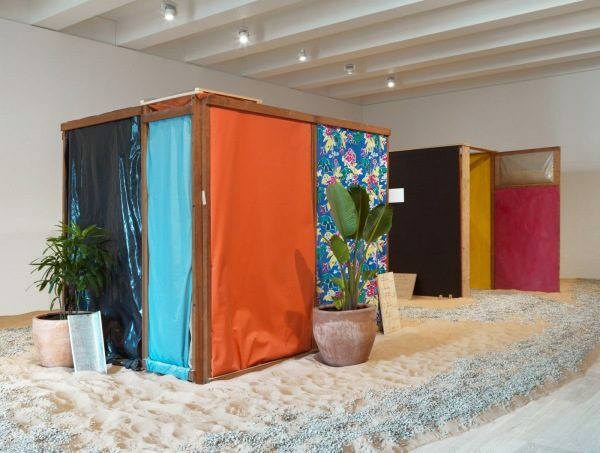 The pathos of Oiticica’s mid-1960s work is bound up in the world-historical gravity of the political turbulence that characterized the Brazilian 1960s. The parangolés atttempt to collapse the two sides of the neoconcretist entanglement of work and beholder, bourgeois art and socially marginal participant, even as on another level the two sides of the dialectic end up falling apart into performers and audience. Tropicália, on the other hand, while it continues to set the entanglement of literal and depictive to work, insists on this entanglement to the point of complicity: Tropicália not only represents complicity, it insists that it is itself complicit—as is its beholder.25 The parangolés insist on a collapse of the neoconcretist dialectic that is also a collapse of the distinction between left intellectuals and the people, but that they are unable to enact. Tropicália redeploys the neoconcretist dialectic, but in a way that is also meant collapse the distance between left intellectuals and the people, both of which are now the same in that they are both culpable. The first moment is a celebration of heteronomy, the second a critique of autonomy; but both only make sense from a revolutionary standpoint—one that either, in the first moment, still imagines class rapprochement in some form to present a viable politics or, in the second, does not. (Again, “revolutionary standpoint” is not a function of Oiticica’s own politics, but a question of what is historically on the table). After these developments a return to the pure neoconcretist problematic can only seem artistically regressive and antihistorical, not to mention politically suspect. But absent this historical standpoint—that of the constitution of the people as an emergent political actor, whether stillborn (Tropicália) or still to be born (the parangolés)—the road that appears to open is that of the abstract critique of autonomy, the abstract pursuit of heteronomy. The problem is that beautiful objects that are heteronomous to the ugly life we already know are not hard to find, though they may be hard to afford. There remain three major moments in Oiticica’s career that I would like to touch on here, two in London and New York, and one back in Brazil. The first of these are the ninhos or nests. 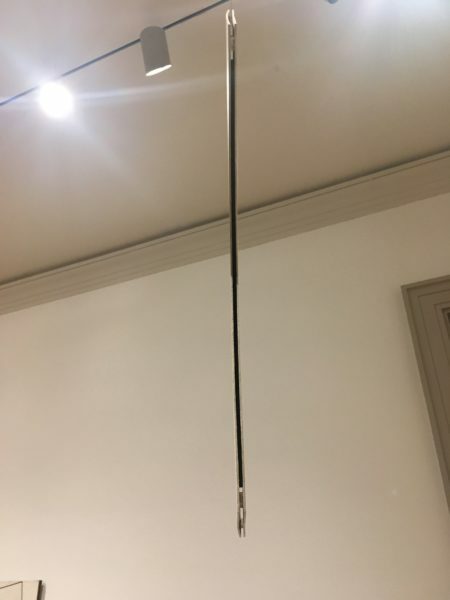 They are meant as a critique of the gallery or museum: little spaces, filled with various kinds of objects of play and relaxation, to be entered for an indefite length of time by museumgoers [Fig. 31]. Vito Acconci, who showed with Oiticica at the 1970 show Information at MoMA, summed up their importance: “In the middle of the museum there was a place, a place for people. That was very rare at that time. No one thought of art as a place for people, those little compartments, those little capsules, nests…[Oiticica’s work] was about relations between people before mine was.”26 In fact, as places for people, the nests are a disaster: quickly dirty and discombobulated, cramped and uncomfortable in the first place, they are not places for people but (merely, because they were always this as well) depictions of places for people. But here the dialectic is in the mode of failure, since they are clearly intended, as Acconci understood them to be intended, as literal places for people. This is not to say that the ninhos could not have been successful at some level. They might have been more comfortable. 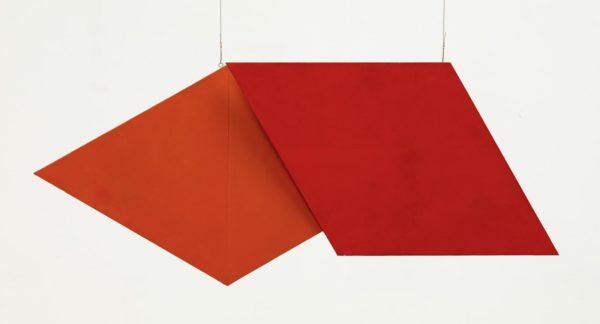 But the force of Oiticica’s Brazilian works in the mode of anti-art and art-against-art derived from the social logic they invoked and from which they took their meaning. Absent that social logic, giving up the vocation to be art leaves nothing for them to be but non-art, which again is not rare. At the end of a 1969 Whitechapel Gallery exhibition a billiard room was installed that literalized Van Gogh’s Night Café. In an echo of the aesthetic ideology of the parangolés, Oiticica is said to have been pleased that working class inhabitants of Whitechapel used the billiard room for billiards. But, as great and important as it is to bring new audiences into the gallery, this version can’t really count as a democratization of art, since if you’re using the billiard table to play billiards, you are not approaching it as a work of art, and if you’re approaching it as a work of art, then its functionality as a billiard table is irrelevant. It is either literal or it is not, but the two sides of the dialectic don’t require each other, don’t produce any spark. The ninhos, as literal spaces for creative leisure, are better suited for a student dormitory commons or a private apartment; both were tried, the latter with more success, as Oiticica’s apartment on the lower east side of Manhattan was converted into a labyrinth of nests [Fig. 32]. Indeed, for most of his time in New York Oiticica writes and plans prodigiously, but the work remains private, unfinished, or merely planned. 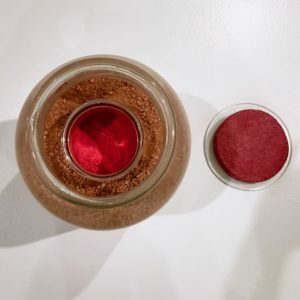 One of these projects, a “Cosmococa” or participatory installation in which cocaine is heavily thematized, was “realized” for us in a recent traveling retrospective. [Fig. 33] Whatever was supposed to happen in these rooms hung with hammocks, with slides projected on four canvas walls, and with Hendrix playing nonstop—the program included both a public and a private version—was not likely to take place at the Art Institute or the Whitney. The most arresting element, however, are the so-called mancoquilagems: books, album covers, and the like, decorated with lines of cocaine. [Fig. 34]. 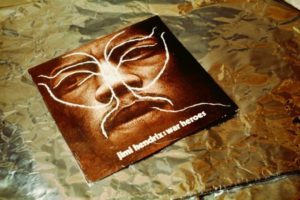 It is difficult to ascertain the status of these as works or parts of works: they are designed by Oiticica’s friend Neville d’Almeida, photographed by Oiticica and meant to be projected on walls for his unrealized Cosmococas. And yet is difficult not to see them as purely private allegories of the impasse to which Oiticica’s trajectory has led. An album cover has a top and a bottom, but as a literal square surface with graphic lines on it that are also literal lines of cocaine, it has neither top nor bottom but only four equal sides: it is meant to be sat around. And as the “work” is enjoyed, it disappears into the pure affective experience of the participant: an experience that is also purely literal, which means that it is no different than if the work had never existed in the first place. Oiticica, who subsidized his existence at the time by dealing cocaine, would have had a very clear understanding of the fact that cocaine is a commodity, and that its enjoyment is not different in kind from the enjoyment of other commodities. In societies characterized by the predominance of the commodity form, the critique of the autonomy of the work of art can issue only in the assertion of a lack of essential distinction between the judgments called forth by the work of art and those called forth by the commodity. The achieved literalness of the work is its achieved identity with the commodity. On his by all accounts joyous—and cocaine-free—return to Rio in 1978, it was to a society that was, despite still being under military rule, in the process of “decompressing” itself along liberal capitalist lines. The generals had mobilized the most retrograde sectors of Brazilian society, but their mission was, by their own lights, a modernizing one: integration with Northern capital. 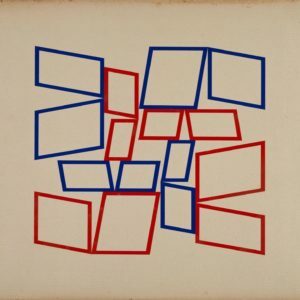 At this time Oiticica rediscovered some of his earlier work that he had not seen in seven years, and undertook a number of new projects, two of which suggest a new direction. Both involve the concept of the readymade. The first of these is the idea of the Ready Constructible [Fig. 35]. 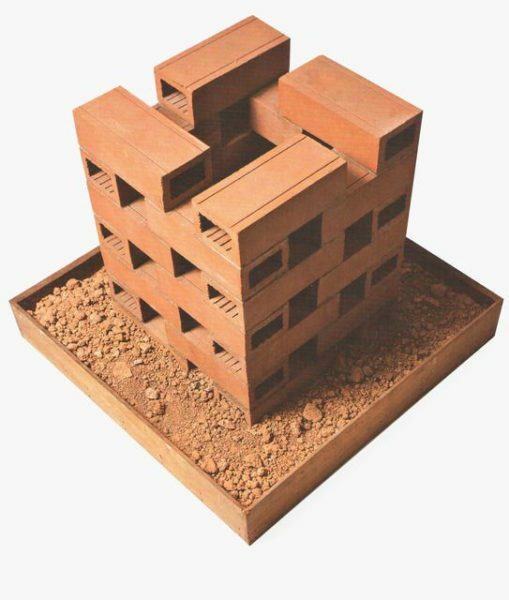 The first thing to notice is that while the readiness presumably refers the cheap construction bricks—the same kind used to build informal housing in Rio—the piece is emphatically framed in Oiticica’s preferred square. It is set in an earth-like surface like a maquette for a building, and yet it is sculptural rather than architectural. It is, therefore, neither made to be physically interacted with nor a model for something to be interacted with by others to come. It is rather an invitation to consider the brick in its dimensional aspect, as something with definite internal relations among its parts—inside to outside, length to width to breadth, scoring lines to thickness, internal opening to the gap between bricks when formed into a square, and so on and so forth. Ready Constructible 1 resumes the project Oiticica began with, but from the other side: recall that Três Tempos [Fig. 5] was painted on a cheap construction material. 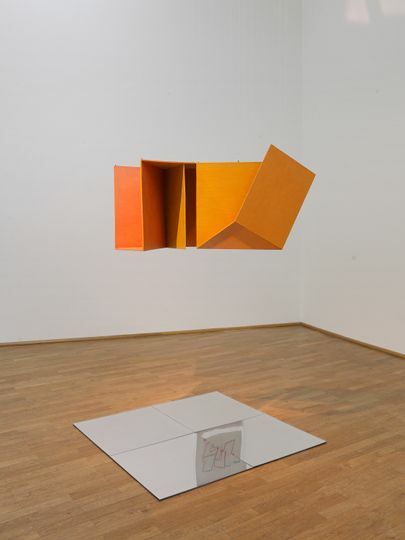 That is: rather than the repeated attempt to literalize what is depicted in the work of art, Oiticica here turns the literal object into a depiction of itself. The brick as a commodity is pure purpose: as a readymade, its purposiveness is retained, stripped of purpose. This idea is radicalized in the “topological readymade landscapes.” These are simple objects taken from detritus of the world of commodities, stripped of labels and often filled with colored liquid, with a rubber band of a contrasting color snapped around them. The first was an American cola bottle, a chance object but a formally attractive one—that is, one endowed with a purposive form that has precisely the purpose of being attractive—and one that is both the universal worldwide signifier for consumer society and, probably coincidentally, historically related to cocaine. The title of the one recently exhibited [Fig. 36] insists on a relation to Boccioni; the relation to Oiticica’s own white paintings [Fig. 11] is more obvious. While the band that runs across the untitled white painting demands a certain purely visual experimentation on the part of the beholder, the rubber band that bisects the soap bottle is meant to be manipulable, so the thing is directly an occasion for play. But unlike the commodity, whose appropriation is non-normative—once you buy it, the experience you have of it is your own affair—the actions you can take with the rubber band will always produce a two-dimensional, though possibly tortioned, shape. (In an interview with Lygia Pape Oiticica affirms, logically but also astonishingly, that the rubber bands are not to be doubled on themselves).27 This two-dimensional shape inevitably bisects the object, which inevitably introduces a depictive aspect; inevitably introduces, in effect, a horizon line: a landscape. There is no end to the topological landscapes that can be produced, but the end result will always be a topological landscape. In Três Tempos, the literalness of the support deliberately showed through the formalist painting it subtended. Here, it is rather the work of art that shows through the literal material: the dialectic of autonomy and heteronomy, work and beholder, literal support and depiction, is underway once again. Only now, rather than art being subsumed by the everyday—museum into the street, meaning into experience, intention into appropriation, contemplation into participation, art into the commodity—the everyday (which, as we have known for 150 years, appears in societies like ours as an enormous collection of commodities) is minimally framed by a rubber band, transformed into a minor art. And with this Oiticica embarks on a project that both literally democratizes the work of art—the barrier for entry is the possession of an empty bottle, unmistakeably the product of consumer society and yet its valueless remnant—and depicts its own universal address. 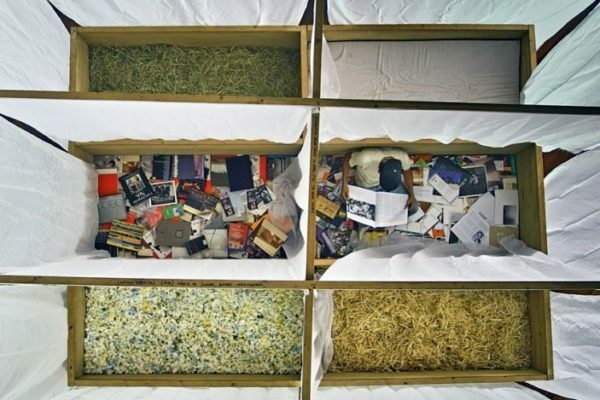 In Oiticica’s final projects, the emphatic pre-revolutionary demand for an art for everyone finds an unemphatic line of flight within commodity society as the latter’s determinate other. Art is addressed to everyone: it has beholders but no addressee. The lesson of Oitica’s last projects is not that since art belongs to a few, it should therefore be subsumed under everyday life. In societies like ours, “everyday life” is simply the market: it is democratic insofar as there is a price point for anyone who can pay. 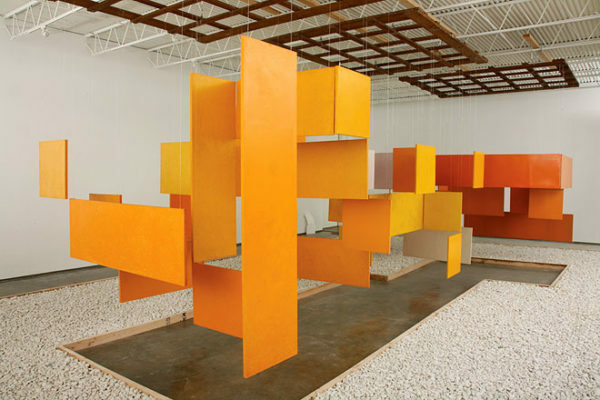 Rather, Oiticica’s topological readymades are works of art. They modestly insist that if art exists, it should belong to everyone. On Small’s account, both Concretism and Neoconcretism “subscribe to the basic notion of the work of art as a container or catalyst for aesthetic information communicated to the viewer over the course of a perceptual encounter” (24). 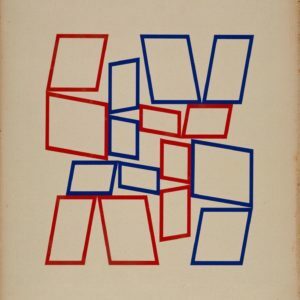 Of course, it is just this notion of the work of art as container or catalyst that Oiticica rejects in the above-cited notebook entry titled “Support” and everywhere else. For Small, however, the difference neo-concretism makes is that “perception… is the means by which such [a disciplining, informatic] idea was continually destabilized” (36). Elsewhere, she has it that neoconcretist artworks “are inefficient carriers of messages because their systems allow for too much noise. The viewer’s body provides the most noise at all” (59). This does not comport well at all with the neoconcretists’ acknowledged “ambitious claim for artistic autonomy” (59). The contradiction is easily removed, because what structures the difference between concretism and neoconcretism is not the distinction between the concretist fantasy of the frictionless transfer of information and a neoconcretist acknowledgment of the contingency of reception. It is instead the difference between the concretist understanding of art as a carrier of information, and the neo-concretist thematization of interpretation as an unavoidable entailment of aesthetic autonomy. When communication is understood to involve interpretation rather than information transfer, the communicative medium—as we have just seen in the “Support” entry—can no longer be understood as a neutral container or catalyst. The moment I recognize the sounds you are making as words being meant by you, I am in the business of figuring out what you mean by them, and if I am figuring out what you mean by them, I am not treating language as a neutral container or catalyst. The question for me is then not one of signal-loss (something with which I might contingently have to contend), but whether I get your meaning right (or right enough) or wrong (or not right enough). This is a humdrum and everyday procedure; neo-concretist art is not merely an example of it, but is rather about that procedure as an unavoidable aspect of the ontology of the work of art. (As Schelling had it, “the aesthetic intuition simply is the intellectual intuition become objective” [F.W.J. Schelling, System des transzendentalen Idealismus (1800) (Hamburg: Felix Meiner, 1992), 296]. But this thematization of interpretation is nothing like a “shift” of artistic making “from artist to viewer” (134); rather, the act of interpretation is, only apparently paradoxically, the content of the work itself. Nicholas Brown teaches in the departments of English and African American Studies at the University of Illinois at Chicago. His current book project is Autonomy: The Historical Ontology of the Work of Art.